Located in Orlando, Florida, Disney is a great place to go with friends or family. Walt Disney World has everything you could possibly imagine. There are games, rides, and, best of all, a chance to meet your favorite Disney characters. You will never forget a trip like this! If you have never been or haven’t been since you were a child, now is as good a time as any to go back. 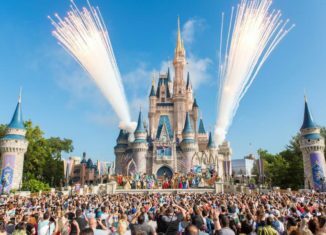 With new attractions opening annually, Walt Disney World definitely has something for everyone and promises fun for kids, and adults, of all ages! We often take for granted the fact that the greatest city in the world is just a quick train ride away! The Big Apple is a great place to spend a staycation. This local attraction offers many things such as incomparable shopping, world-class entertainment, and unique dining experiences. There is nothing better than spending a spring day walking the sidewalk and stopping by every store you see. 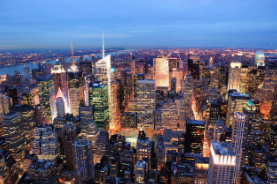 With a combination of beloved tourist attractions and trendy, off-the-beaten-path spots, there is certainly something for everyone in the city that never sleeps. Perhaps one of the best things to do over vacation is to explore our nation’s capital. In addition to visiting the White House, you can also visit the Lincoln Memorial, the Smithsonian, and many other famous spots that are so entwined in our nation’s history. Washington DC even has its very own Cherry Blossom festival that occurs every spring and is a much-loved tradition for locals and tourists alike. When it comes to spring break, having a super sweet time is a must! The chocolate-orientated amusement park offers something for everyone in the family. Not only are there games and roller coasters, but you can even make your own chocolate bar and splash the day away in their indoor water playground at the Hershey Lodge. There is enough fun, and chocolate, to last the whole week. Woodloch is a great vacation spot for the winter, spring, summer, and fall. In the winter, you can go sledding and skiing, while in the spring you can enter the annual gingerbread contest. There are also many great water rides, and you can play anything from archery to bumper cars. 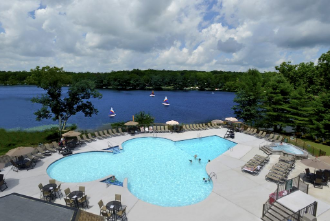 A true all-inclusive family resort located in the Poconos, Woodloch has so much to do that the entire family will enjoy disconnecting and spending time together.